You must make reservations at least 5 minutes in advance of the time at Skopelos at New World. 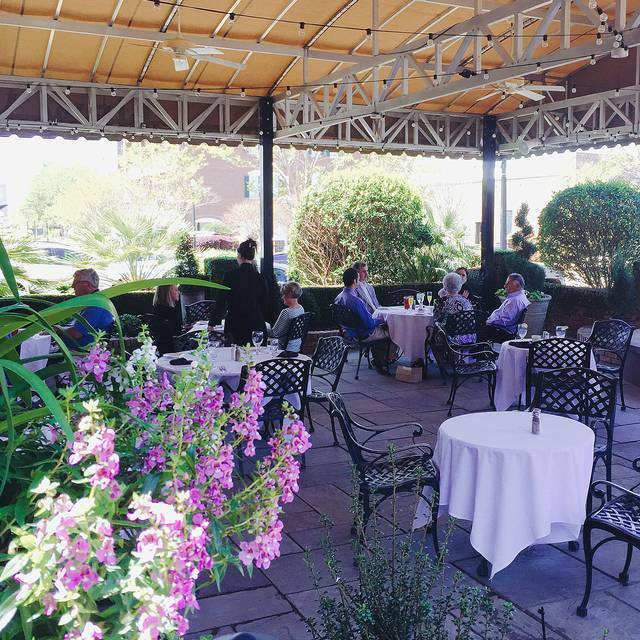 We have a large, private parking lot with complimentary parking for guests directly in front of the restaurant, with additional free public parking directly to the east and southeast of our building (as well as free street parking). We have a full catering company to offer off site catering in any atmosphere. Skopelos opened its doors in 1959 and became a Pensacola tradition, known for fine dining and exceptional service. 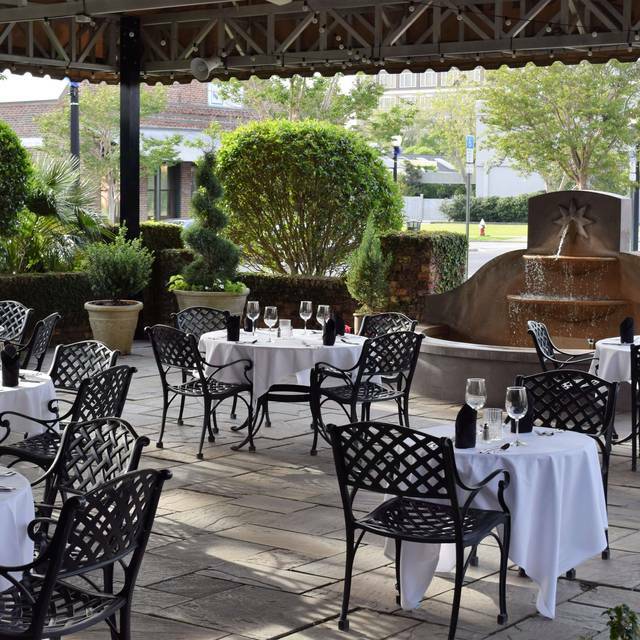 Helmed by Pensacola Celebrity Chef Gus Silivos, the restaurant has been the recipient of many prestigious awards and has held the honor of serving many well-known personalities, including former President and First Lady, George and Barbara Bush. Skopelos moved to its new home in downtown Pensacola in 2016. 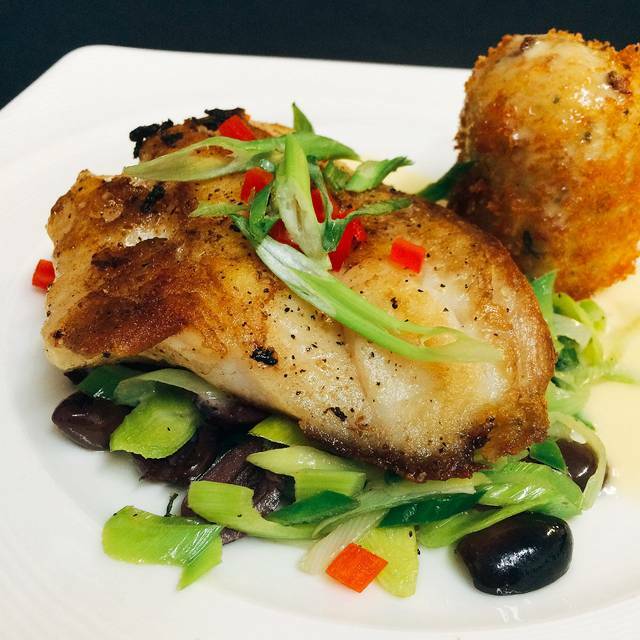 Situated on one of the 10 Best Streets in America, the restaurant's decor takes a nod to the history of Pensacola with a menu that utilizes local ingredients and the freshest flavors from the Gulf Coast. 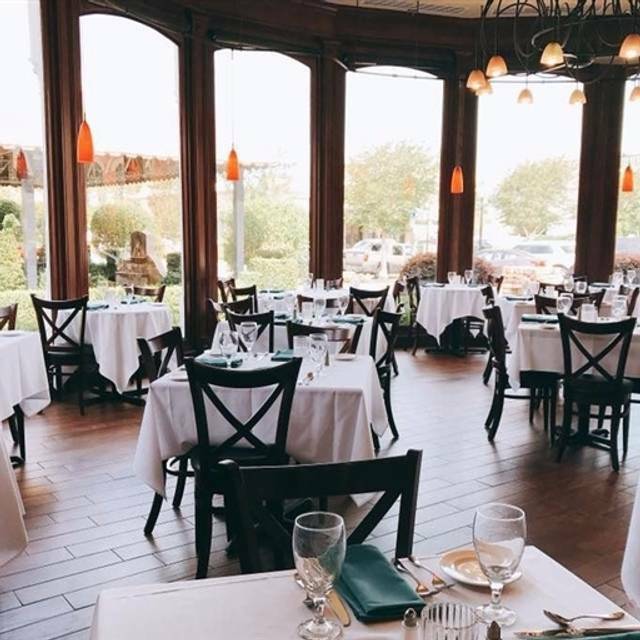 In addition to its coastal cuisine with a Mediterranean flair, the restaurant is also renowned for its USDA Certified Steaks, vegan & gluten free cuisine, extensive lunch menu, and all-encompassing Sunday brunch buffet. 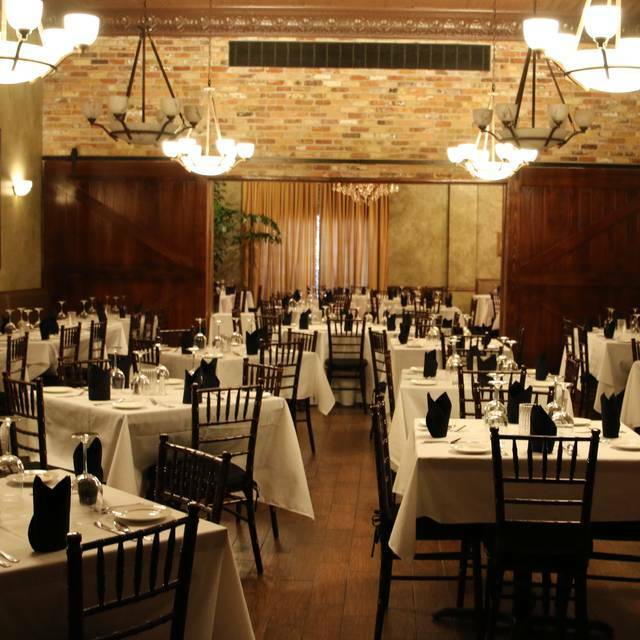 In addition to private dining, Skopelos at New World offers a grand event space, ideal for banquets, weddings, and events within the heart of the city. Celebrate Easter with Skopelos's signature Ballroom Brunch Buffet; delicious A La Carte Brunch; or a special dinner menu crafted by Celebrity Chef Gus Silivos. A visit from the Easter bunny and complimentary family photos also available until 3pm! 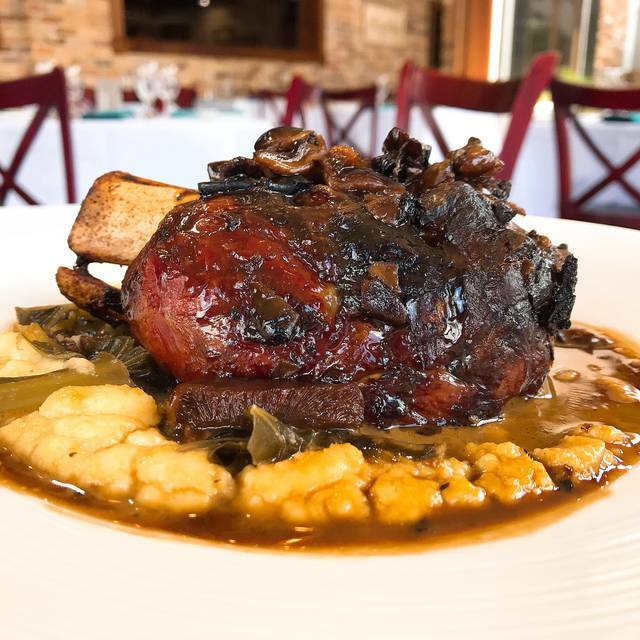 Reservations by phone only, (850) 432-6565. Food was excellent except for steak.. it was cooked right but dry and no flavor at all not unless you add sauce. Appetizers, fish, dessert, wine, service is excellent.. chairs ate not comfortable and should add some booth for a couple to seat together. We really appreciate your feedback, Joan! I'm glad you enjoyed the apps, fish, dessert and wine but I'm sorry there was an issue with the steak. We'll pass that note along to the kitchen, and the seating note along to the owner. Thanks again! Hope we'll see you again! Very disappointed in the two pasta DeLuna entrees and mushroom ravioli our party ordered. One dish was cold and the other two were barely edible. There was an unpleasant odor to the seafood, the sauce was bland and the noodles tasted like they came out of a box. In addition, the table water is tap water so we ordered bottled water for the table. 4 bottles cost us $32, wow!I have eaten here before and thought it was ok but after this experience we will not be returning. Very disappointed! I'm sorry for the trouble with your food! We always want to ensure our guests are more than satisfied, and hope a manager was able to help you out while you were here. Thank you for letting us know on here -- we do hope to see you again! This is the first time we have been to Skopelos in many years. It was amazing! Everyone greeted us so friendly. Our table was ready right away. Our server, Luke, did a fabulous job. The first thing he asked was if we were celebrating an occasion. It was our anniversary dinner so he brought us two glasses of champagne. Luke was very knowledgeable of the menu and drinks. Our food was delicious and the wait was minimal. And creme brule for dessert. It could not have been any better. Thank you Skopelos and Luke for making our dining experience wonderful. We appreciate the compliments, and reading that Luke did a fabulous job! Thank you so much! Drinks were a little slow. Also I ordered the chicken with potatoes and vegetable medley. It came out with spinach instead of the vegetable medley I asked for and the potatoes were burnt I had to send them back for fresh ones. There was no flavor on the vegetables nor the potatoes very Bland. The fried Banana Foster was gross so I'm glad it was free for my birthday. I will say the gumbo was good and the chicken. I would give it one more chance before not recommending it. We really appreciate your feedback, Nikki! Thank you! The food and service was great. Skopelos was the first restaurant I ate in when moving to Pensacola 16 years ago. I've dined there many times since and have never been disappointed. The food and service has been consistent, which is what is important . The location is easy to get to and usually plenty of parking unless there is a function in the banquet facility next door. Thank you for the compliments, Mark! We appreciate you!! While our elderly guests thoroughly enjoyed the stuffed French Toast, our Eggs Benedict were the worst we have ever had. One set of muffins was close to being burned, the Canadian Bacon was dry, over cooked and tough, the poached eggs were undercooked, and the Hollandaise Sauce was anything but. It looked like melted butter and was tasteless. When a small container of Sauce was brought, it looked right, but melted, did not taste lemony or buttery - tasteless! We ate the meal because we did not want to upset our elderly guests. 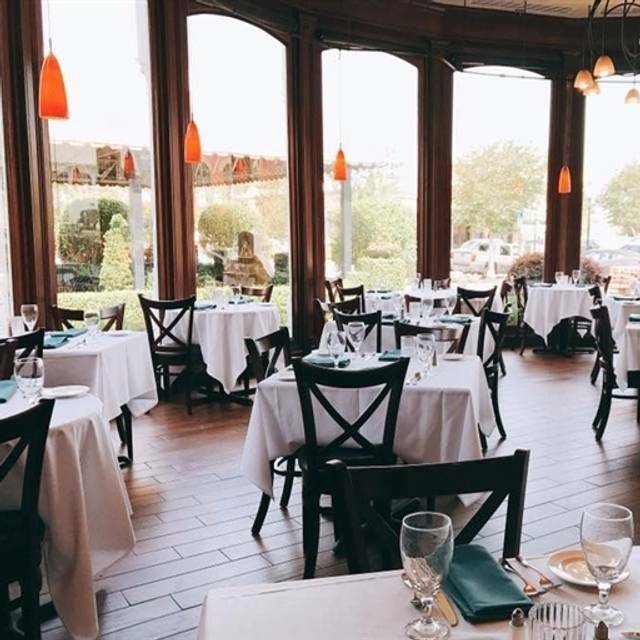 We have eaten at Skopelos many times - lunch, brunch, dinner, and will return, but will closely look at other diners plates before ordering Eggs Benedict. I can only assume Gus was not in the kitchen yesterday. I'm really sorry for the problems with your Eggs Benedict! That's definitely not a normal comment about our benedict so I'm not sure what went wrong, but we've gotten your comments over to Chef Silivos so he can look into it. Thank you for letting us know -- and my sincerest apologies again! The waitress had poor English and was not knowledgeble re menu or other. We were there at happy hour $3 drinksand asked for house drinks. She ordereed and charged for $10 aged scotch, etc. Bartender should have cauught this. Then food order wrong. We left . Had been becoming regulars. Not now! Wwe paid $3 for the drinkd after mgr argued. I'm sorry there was a problem with your service, Joe! We appreciate the feedback and will pass this along to our managers. We took my granddaughter for her 8th birthday and everything was PERFECT! The food was outstanding and the staff was very attentive. They treated my granddaughter like a princess and we all enjoyed the evening very much! We're thrilled you celebrated with us, and that your granddaughter felt as special as she should. :) Thank you for the compliments! We hope to see you again. Service was a bit slow. I ordered the shrimp and grits and the key lime pie both of which were very good. Tilt cam with a fruit plate that had been prepared do long that thefruit was dried out on top. There was o e small slice each of honeydew, cantaloupe, kiwi and one strawberry cut in half. Even the lettuce garnish on the plate was wilted. The ambiance was nice. Noise level pretty loud. We appreciate you dining with us, and for your feedback, Holly! Hope we'll see you again. As good or better as the original location. Very attentive staff and the food was amazing. A little pricey, but well worth it!! One of the best dining experiences we have had in Pensacola. Thank you for the kind words! We're thrilled you enjoyed it and hope to see you again! Skopelos is fantastic for vegans start to finish even though it's not a vegan restaurant. Also every Wednesday is vegan and vino night. We're so glad you enjoyed the vegan options! Thank you for your review. Unsatisfied returning customer..A $26 Cioppino dinner is a big plate of potatoes!Btw, they need to fix their ceiling, by the entrance , its moldy! I'm sorry there was a problem with your Cioppino, Ann! Our managers always work to ensure our guests are happy, so I hope you mentioned something when you were here? We also recently had a leak from heavy rains and are working with a team to correct that. Thanks for your input! We hope to see you again! We would have given 5 stars in every category if it weren't for the following: The room was extremely noisy making it difficult to hold a normal conversation. The food was excellent with one exception, the polenta served with the Ossa Bucca was salty to the point of being inedible. When brought to the attention of our server the staff took care of the issue by providing a substitute for the polenta. Nigel, our server, was one of the best we have ever had and made the experience special. The food and the service was well worth the price of the dinner. We would highly recommend Skopelos to a friend. Thank you for detailing what you enjoyed and what would have made the experience a little better! We're currently working with an interior designer to alleviate/buffer the noisiness when we're busy. Expect that to be fixed soon! I'm sorry for the issue with the polenta but happy Nigel helped the problem, and that you found everything else to be excellent! Thank you again for your thoughtful feedback. Friends met to celebrate my husband’s birthday. Everyone was very pleased with their food and the service. Skopelos is easily one of my favorite local Pensacola restaurants. The vegan options are AMAZING! I highly recommend the country fried steak made with the impossible burger. The buffalo cauliflower bites on the Mezze menu are another just for ALL customers. Excellent! We appreciate that. Thank you, Heather! If you haven't stopped by on Wednesday night yet, we do different Vegan + Vino specials every week -- a fun night to check out! It was good but nothing to write home about. I might even say mediocre food. We appreciate your feedback, Anna. Thank you!! We'll pass your compliments along to the chefs. :) We really appreciate it! Great dinner experience. Oysters Skopolos are excellent, entres and dessert never disappoint. My husband and I were married at New World Lannding almost three years ago, and we got to try the food. It was fantastic! Now that we live out of town, whenever we come back to Florida we always make sure to eat at Skopelos! I definitely recommend. Happy Anniversary! What a fun tradition to come back and visit the place you were married. We're honored to be a part of it! Safe travels home, and we look forward to seeing you again next time you're in town! The food is very good. I had the Greek grouper and it was excellent. Wine choices are sufficient and not to expensive. Is the dining area dated or is that ambiance? I think it should be updated. My server was excellent. Parking is easy. A good reasonable choice without a lot of the crowds. Awesome experience, Jerry was very attentive and his suggestions were spot on. Thank you, Donald! We look forward to seeing you again! It was great! Diana was an amazing server! I know no chef likes to 'well done' a filet but if that's what is ordered that's the way it should come----'butterfly' and get rid of the red. However, the tastes of everything----great. Thank you for the comments! 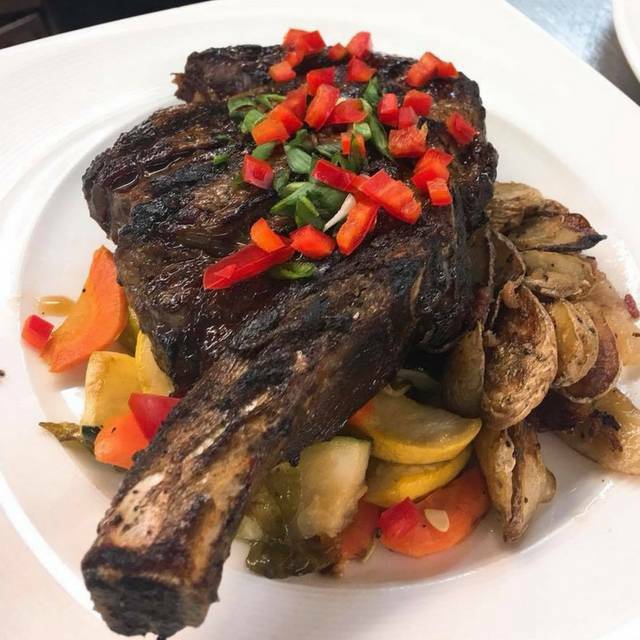 We're always happy to prepare a steak however our guest desires. I've shared your comment with our Executive Chef, and he agreed, our servers should definitely ask if our guest wants it butterflied with a well done request. We'll pass this along to managers as well so they can emphasize with our servers. Thank you again for the feedback! Skopelos is my favorite restaurant in Pensacola. The food is so consistently good. I love that there are vegan options. I’m a big fan of their special event wine pairings. The food and service was above excellent. Our first visit based on a local friend's suggestion. I can heartily recommend this restaurant for a romantic evening! Thank you, Samuel! (And thanks to your friend for referring us!) We hope to see you again! Good food but very loud. Tables are close together and it is hard to get around. We will definitely pass your feedback along to our managers, Jaime. Our hostess absolutely should have opened the door I'm very sorry they didn't! Thanks too for your feedback on your dishes, we'll pass that along to our kitchen team. 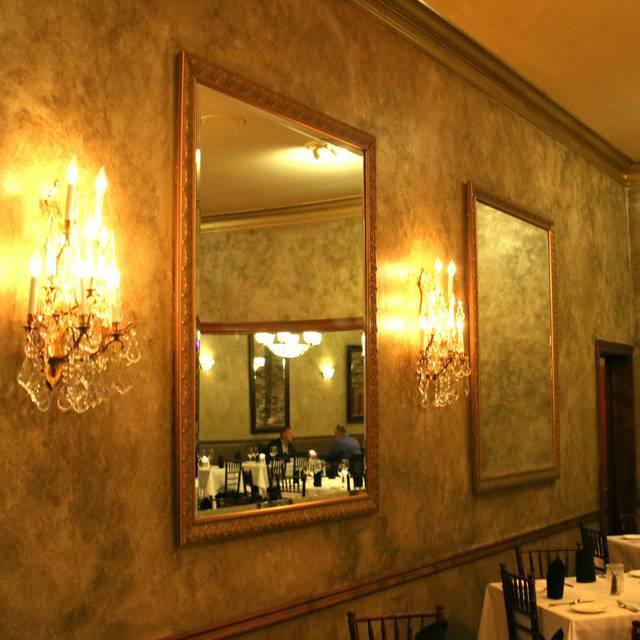 Whether for dinner or brunch, we do hope to see you again! We made a reservation for the Barsalona room for 630 . We arrived early and told the hostess we were going to be at the bar till our reservation time. At 630 I went to the hostess station to see if our table was ready and we were told we could not sit in our resserved room as others came and requested that room. This was a special evening we were celebrating and wanted the room we reserved. The two hosts were simply dismissive . Very disappointing and certainly not the evening we planned . We're really sorry for the trouble with your reservation, Joe. I just looked back at your Open Table reservation and there wasn't a note for a dining preference -- I'm sorry that didn't go through, and that the Barcelona room was filled by the time you were ready to eat! I'm glad you enjoyed the food & service but definitely apologize that you didn't get the table you had hoped for. The food was great but the waiters we had were rude and a bit snobby. We felt that we were being judged the whole time. Oh no! This doesn't sound like the service we're known for. I'm really sorry there was a problem! If you'd be willing to message us what name your reservation was under, we can determine who your server was and make sure our managers address the problem right away. Very happy to hear you enjoyed the food though. Thank you for your feedback! This is our new favorite place. The food is absolutely perfect every time and it isn’t overpriced like some local spots serving similar food. The atmosphere is lovely and quiet and service is always great from all staff we’ve encountered. Glad they are back and downtown. We really appreciate the kind words! Thank you! Service was quick and efficient. Baked oysters were excellent. Tried the Greek tiramisu but was disappointed in their interpretation as it lacked any coffee flavor and texture was off. I would recommend the restaurant and will probably go again. We appreciate the feedback across the board. Thank you! We'll pass this along to the kitchen. Hope to see you again! Skopelos for Sunday brunch is a treat--especially now that there is a chef who knows how to make an omelette! Glad you enjoyed our Sunday brunch, Pierre! Hope we'll see you again. Our first visit to Skopelos at its new location. The food was very good. Easy parking which is a plus for downtown Pensacola. Good selection of drinks and a wide variety of small plates, soups, appetizers and salads. The scamp is very good as was the lamb. Looks like they have several good steaks as well. Good service. Apparently the chef will make special desserts table side, we will try that next time. Good reasonable wine selection. Worth the drive from the beach. Thank you for coming downtown to visit us, and for the compliments! Yes, the tableside desserts are to die for -- bananas foster, crepes suzette, and strawberries romanoff, all created & cooked right next to your table. Look forward to hearing what you think when you try it!